Darjeeling: The Bengal government has decided to convene a "high-level" meeting on issues related to tea gardens on February 22 to which Binay Tamang has been invited. State labour minister Moloy Ghatak extended the invitation to Tamang when a Gorkha Janmukti Morcha delegation comprising he and MLAs from Darjeeling and Kalimpong, Amar Singh Rai and Rohit Sharma, respectively, called on him in Calcutta on Friday. Till date, tea garden union leaders were invited to such meetings. "Since the tea gardens are the economic backbone of the hills, we raised issues related to implementation of minimum wages, land rights and disbursement of remaining bonus to the workers," said Tamang. The minister told Tamang that "a high level" meeting would be convened by the state government at Uttarkanya in Siliguri on February 22. "I have been invited to attend the meeting and I will," said Tamang, the Morcha chief. Issues related to cinchona plantations like granting jobs, promotion and wage revisions were also discussed during Friday's meeting . Since Ghatak is also the state law minister, the Morcha delegation raised some "technical" problems that were coming in the way of granting bail to those arrested during the 104-day agitation. 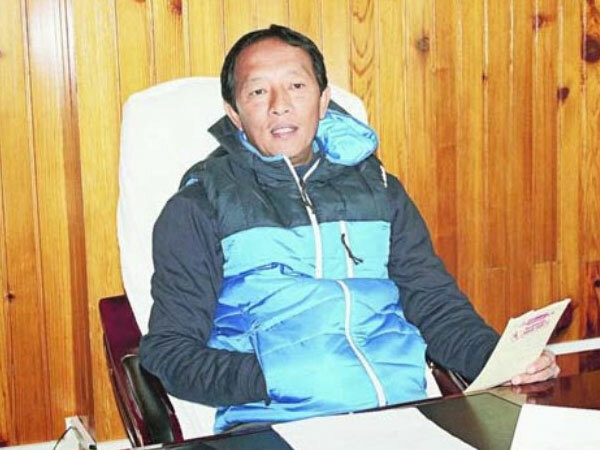 "However, since the cases are being handled by Siliguri court as per the direction of the state government, it has no jurisdiction to entertain the bail application as the respective hill courts have already taken cognisance of the charge sheets submitted by investigating officers," said Tamang. "Once we apprised the minister of this technical problem, he has promised to extend all necessary help and transfer the cases to the respective courts (from Siliguri court)," said Tamang.